The Seeds of Hope Childrens Garden and the accompanying Activity & Information Pack was a creation 13 years in the making and came into being through the hard work of two friends in particular, Gillian Rodgers and Unity Dale. 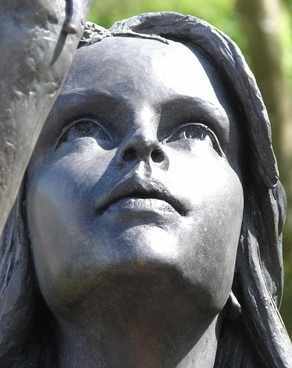 The Garden in the grounds of Guildford Cathedral in Surrey is a place of beauty and calm specially designed for children, young people and their families to come to remember someone they love who has died. It is also a place of change and growth where all children, with their families or teachers, can explore feelings of loss of all kinds through the cycle of life always present at the heart of a garden. There have been many steps for me along the way. My journey towards this creation began on 15th July 1987. The evening before, I was a healthy, happy, expectant mother-to-be. By noon of that day, our first child, a daughter, Laura, had been stillborn. As a result, two years on, Vivien Allen and I set up the Guildford branch of SANDS (Stillbirth & Neonatal Death Soceity - http://www.uk-sands.org) to offer support and information to families when a baby dies at or around birth. We ran this group for 12 years and it continues to thrive today. During this time, I also became involved with the Child Bereavement Charity (www.childbereavement.org.uk) which supports families and offers education and training to professionals both when a child dies and when a child is bereaved. I took part in their training programmes, wrote resources and made videos with them. doctors, nurses and carers. I raised money to refurbish the Children's Chapel in the Cathedral and put in place 2 Children's Remembrance Books. 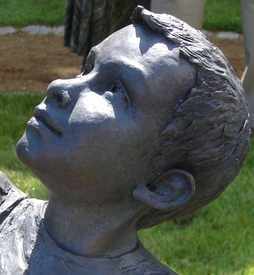 These are open to anyone who would find it of comfort to have their child remembered in this way ... from babies lost from conception onwards for whatever reason and however long ago to children and young people of any age. During these years of learning from and working with bereaved families and children, my vision for a 'Seeds of Hope' Childrens Garden took shape. Gillian Rodgers and I registered the charity and we began fund raising in earnest to turn that vision into a reality. "Along the lonely paths, a little child like me, with face, with hands like mine, plays ever silently"
Here the trees are full of blossom and bulbs burst out of the ground in Spring. There is colour again, the re-starting of life, bird boxes in which baby birds are born and new leaves appearing on the trees, a reminder that death and loss can be a beginning as well as an end. "If this garden is not Paradise, then why like Paradise, does it create happiness through its inner life?" This area is full of colourful flowers in Summer, many with beautiful scents, reminding us that even in very sad times when someone we love has died, there are happy times too when the world is bright and it's OK to have fun. "One o'clock, two o'clock, three o'clock, four ..."
The sculpture in the centre of the Summer Garden represents the spirit of childhood. A girl makes dandelion seeds fly for a young boy. Childhood should be about having fun but time passes and nothing ever stays the same. 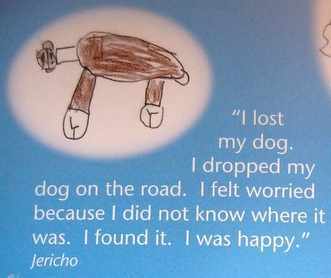 Sad things happen. All living things eventually die but their essence lives on in the new life that grows from the seeds of the old. "A spirit haunts the year's last hours ..."
The trees and plants produce fruits and turn rich yellows, reds and golds showing how the outside shape of things becomes different with time. 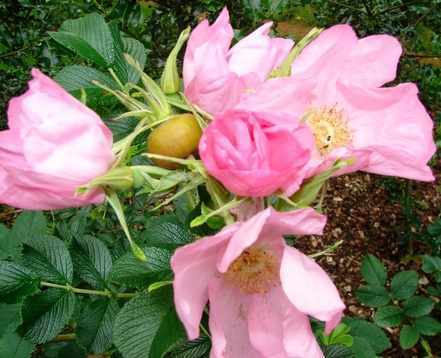 A bud becomes a flower, a flower becomes a fruit and the fruit eventually drops from the tree. But in the fruit are the seeds from which new life will grow. Life is a journey full of change. "Am I in lonliness here, in the rain, bursting with tears, in darkness, or is there a witness near?" Like the early days after loss, everything is very hard and there's no sign of colour. There is a sense of 'going inward', of things happening inside with no outward show of what's going on. The plants are gathering strength for new life to come. 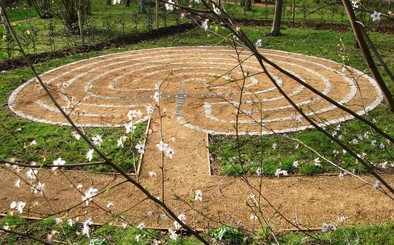 A labyrinth represents a journey through life from birth to death. We survive. Things change but more colourful times are on the way. Spring will come. 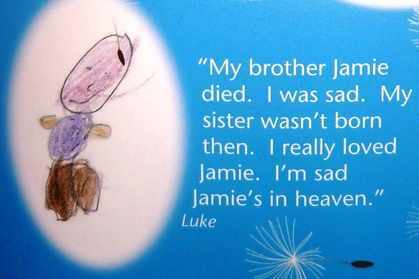 The Seeds of Hope Bereavement & Loss Activity Book, beautifully illustrated by Unity Dale, is full of suggestions of ways in which any garden or park could be used to explore feelings of loss, there are also suggestions for teachers and useful information for parents and carers. 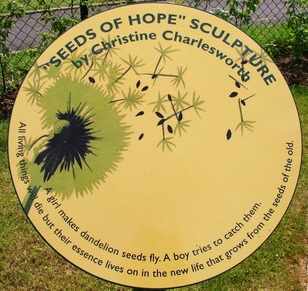 The Seeds of Hope Memory Meadow is an online meadow where children and adults can plant a virtual flower and write a message to someone in their lives who has died. 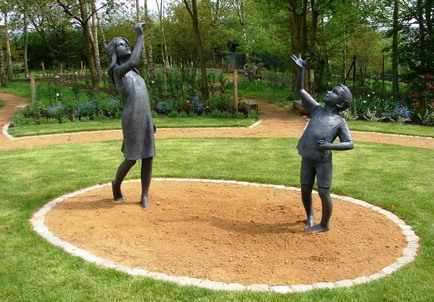 Go to http://www.seedsofhopechildrensgarden.co.uk and click on the Memory Meadow button to find the meadow which has been created and is administered through the hard work of Jamie Smith (www.theblueboxproject.co.uk).